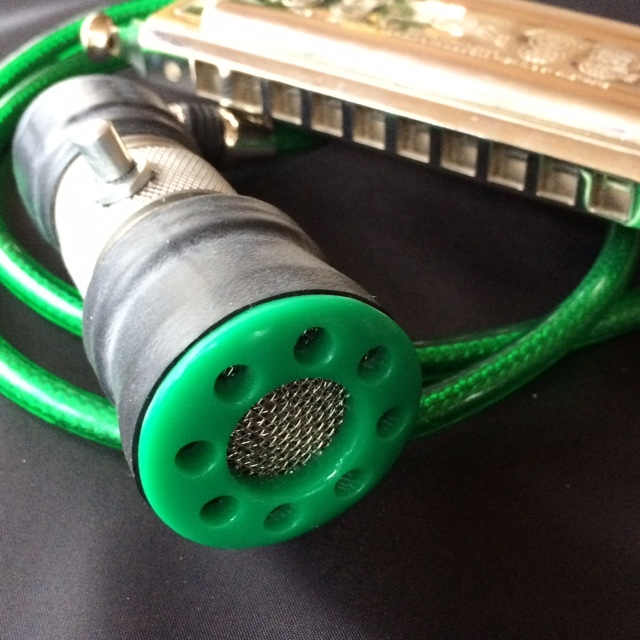 The Silver Bullet Dynamic | Medium-Z 4KΩ (with volume control) This mic produces a lovely clean sound – rich tone with full harmonic content and great bass. 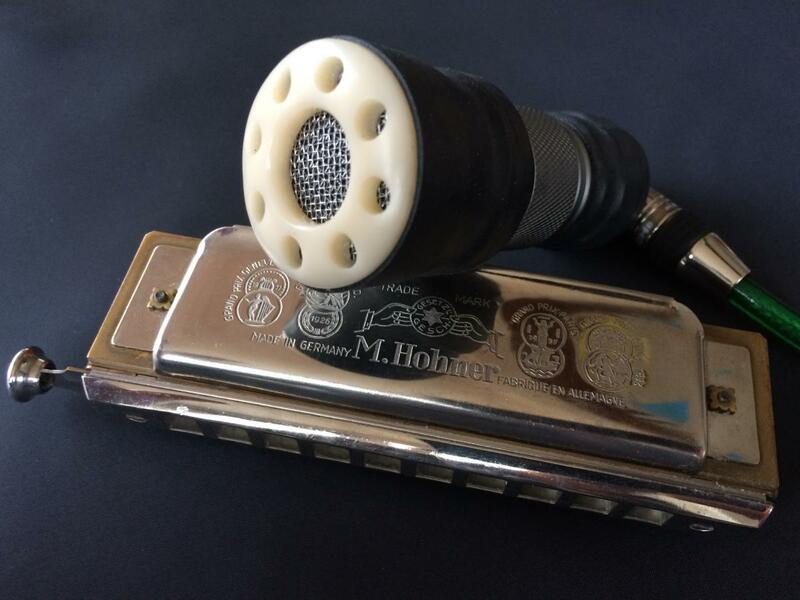 The element has the widest frequency response and dynamic range of the Silver Bullets with a slightly lower sensitivity and as a result a higher headroom to distortion. 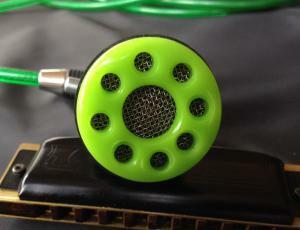 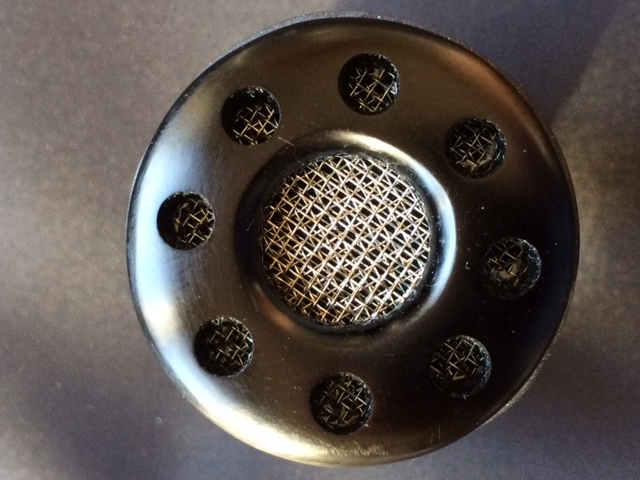 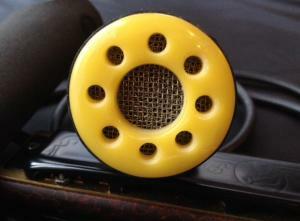 At lower to mid gain settings this produces clear and rich low, mid and high sound without excessive treble. 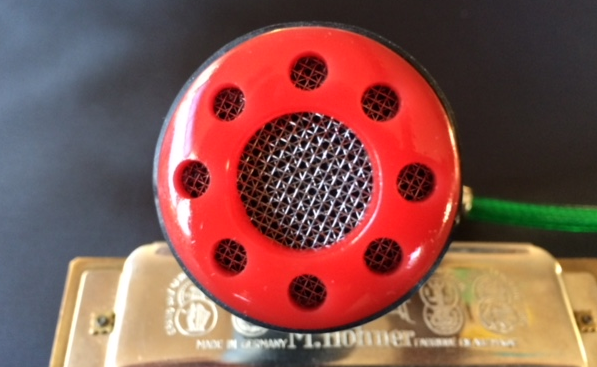 Alternatively, if you like a very light touch of distortion – turn up the gain on the amp and set microphone to maximum to drive the mic’, ideally used in conjunction with reverb. 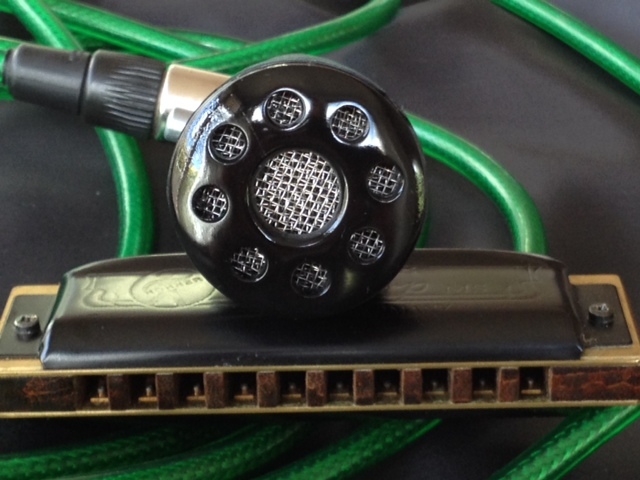 Dynamic microphones have proven reliability and are ideal for practice or gigging – blues, country or chromatic harmonica performance. This microphone is medium (4KΩ) impedance which therefore needs to be matched to a high (=/>40KΩ) impedance sockets on your amplifier. 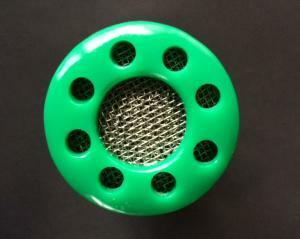 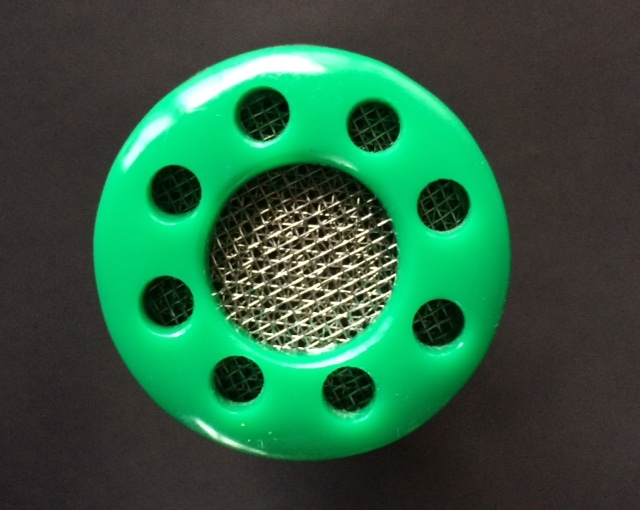 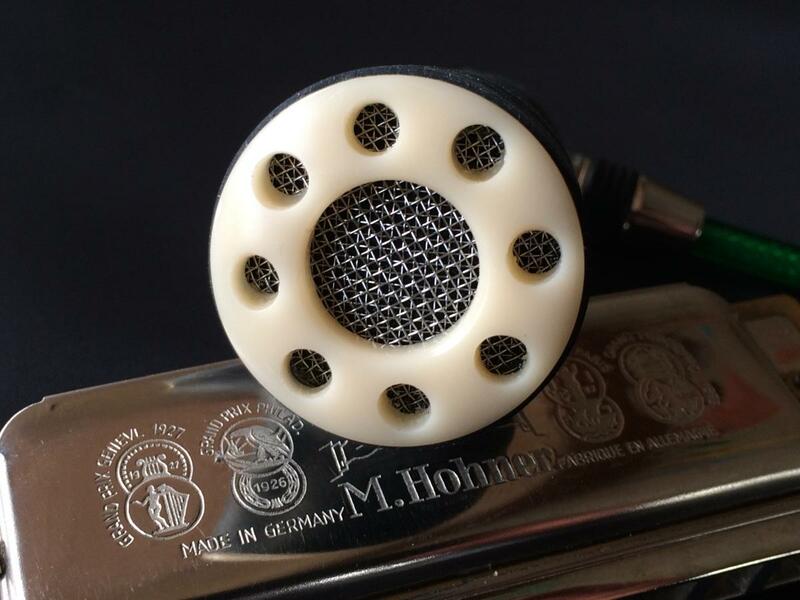 The microphone’s size and shape provides a durable design which is smaller than a Marine Band and fits neatly in your hand and pocket. 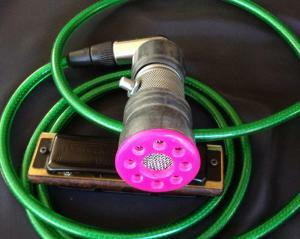 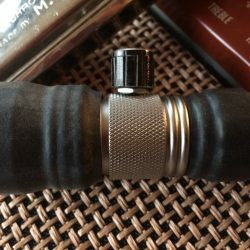 It is a perfect size for getting a really good seal for amplified harmonica playing which is much easier than with a larger bullet mic. 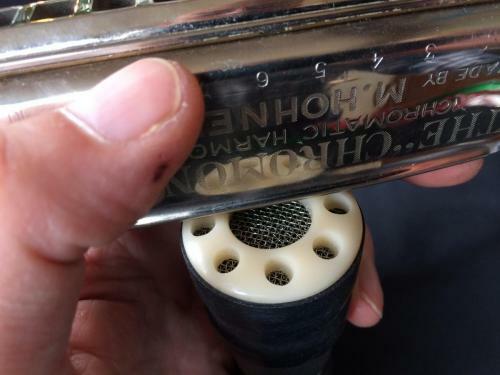 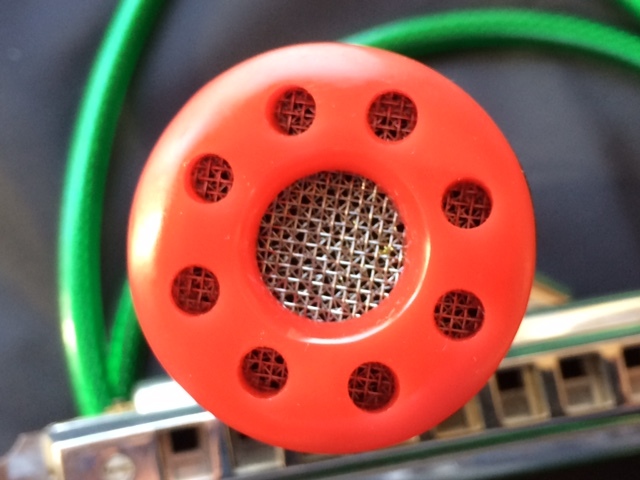 Another nice detail is the rubber around the head of the mic’ which serves two purposes: firstly it means that the harmonica isn’t going slip out of your hands when they get sweaty (a real issue! 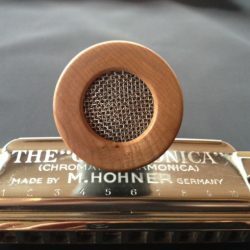 ); secondly it helps achieve a consistent airtight seal around the harmonica and microphone to get the biggest “tone” you possibly can. 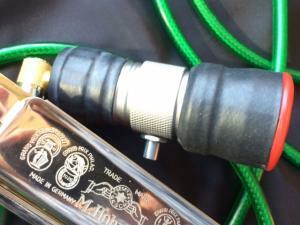 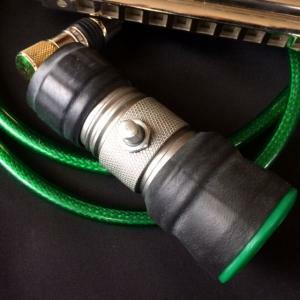 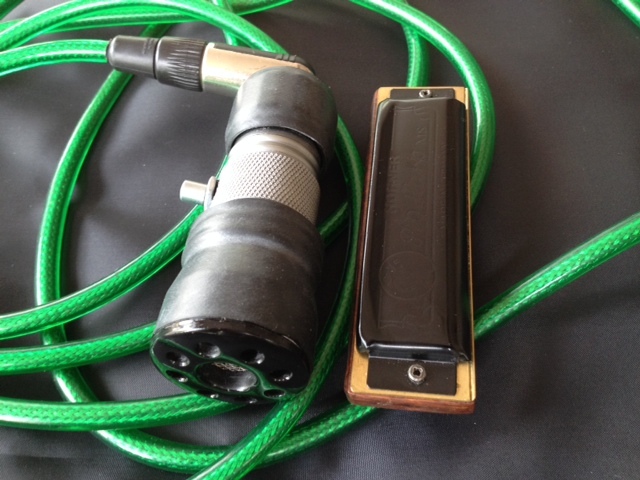 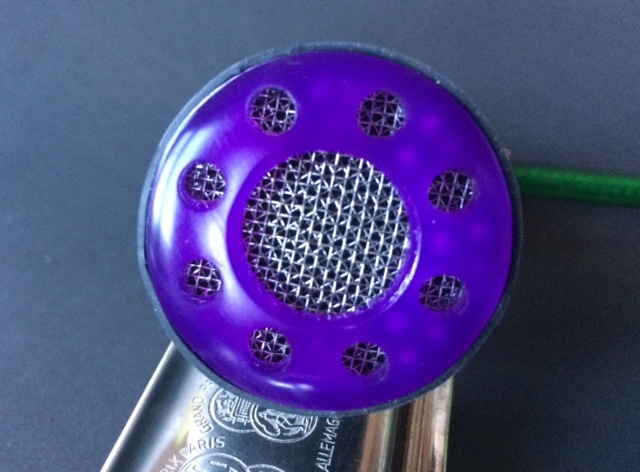 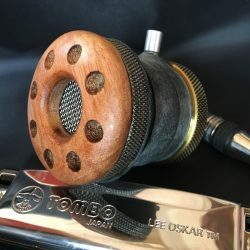 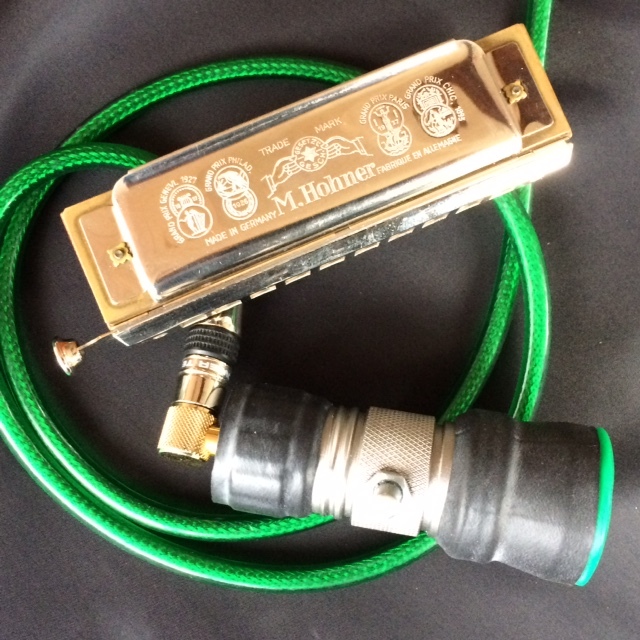 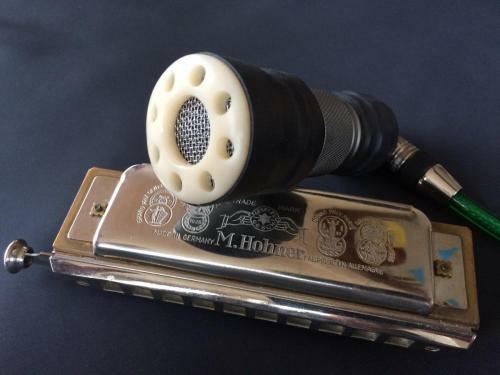 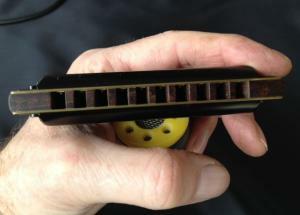 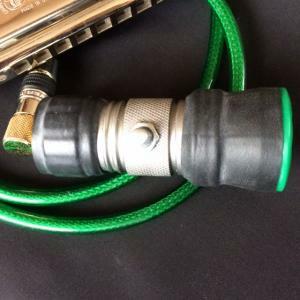 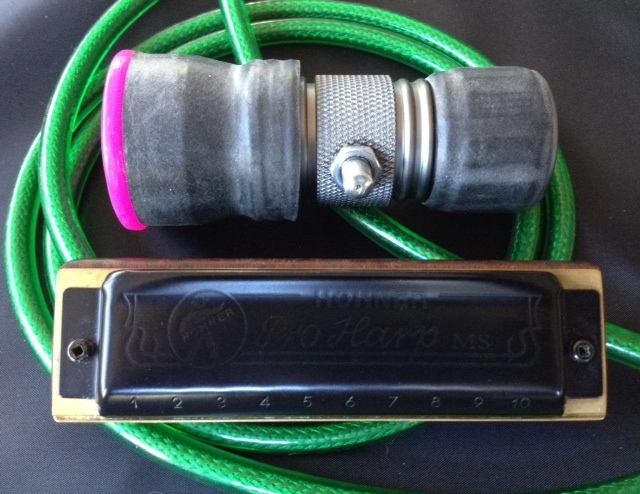 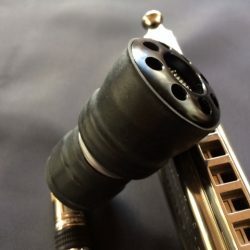 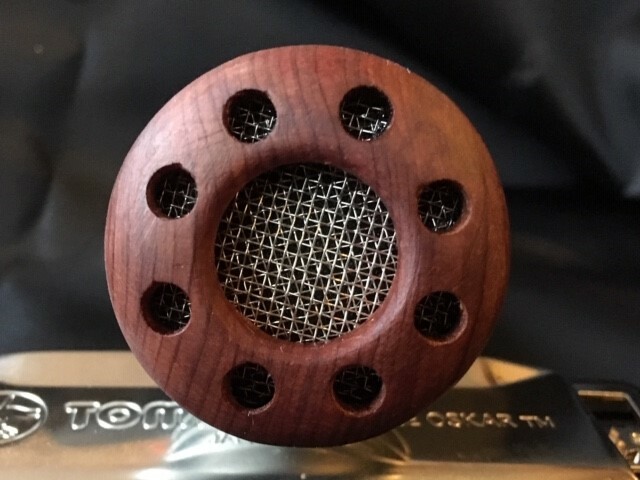 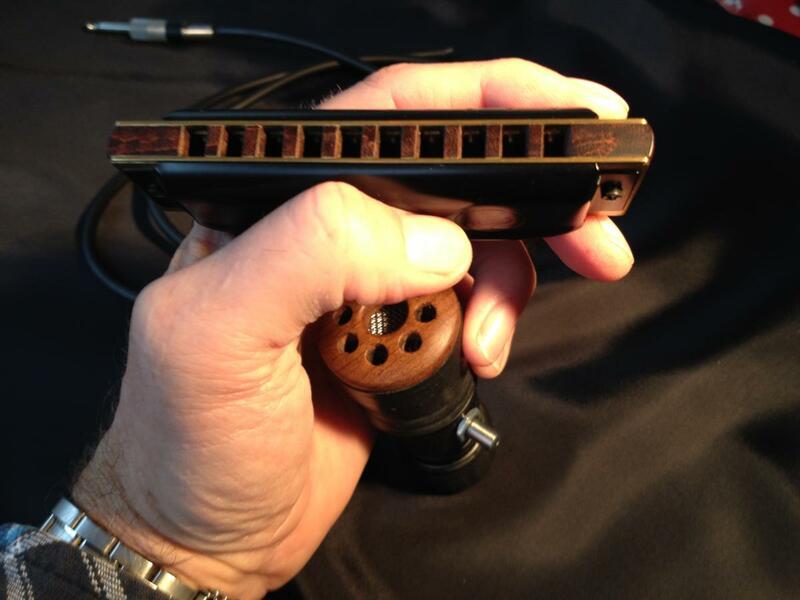 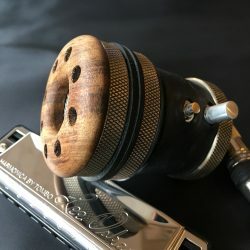 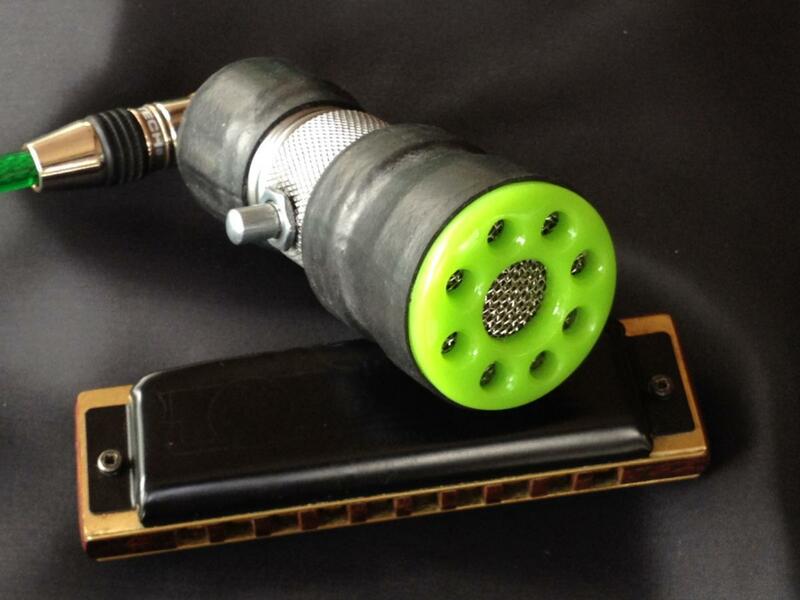 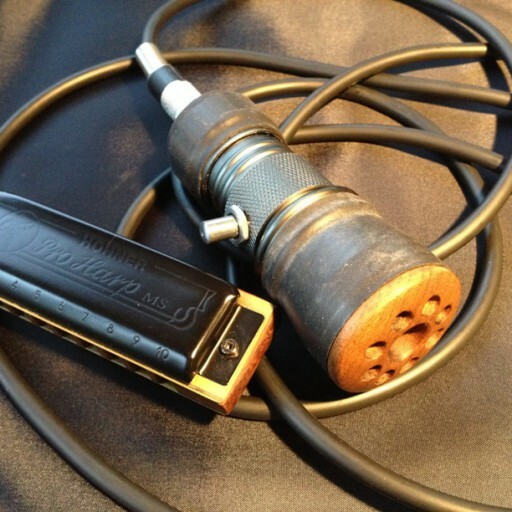 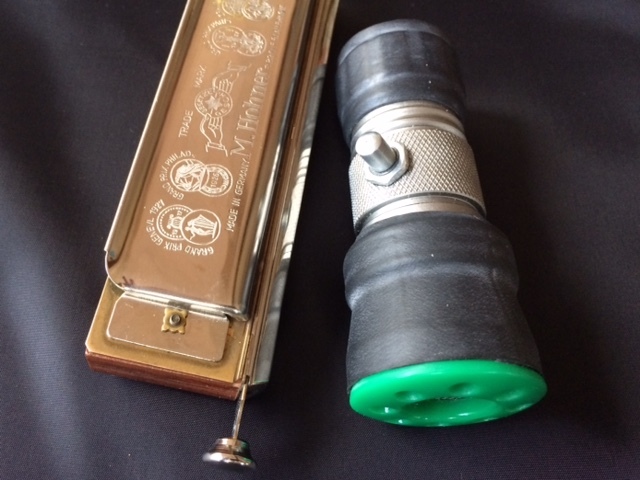 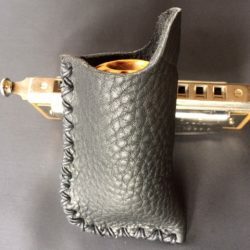 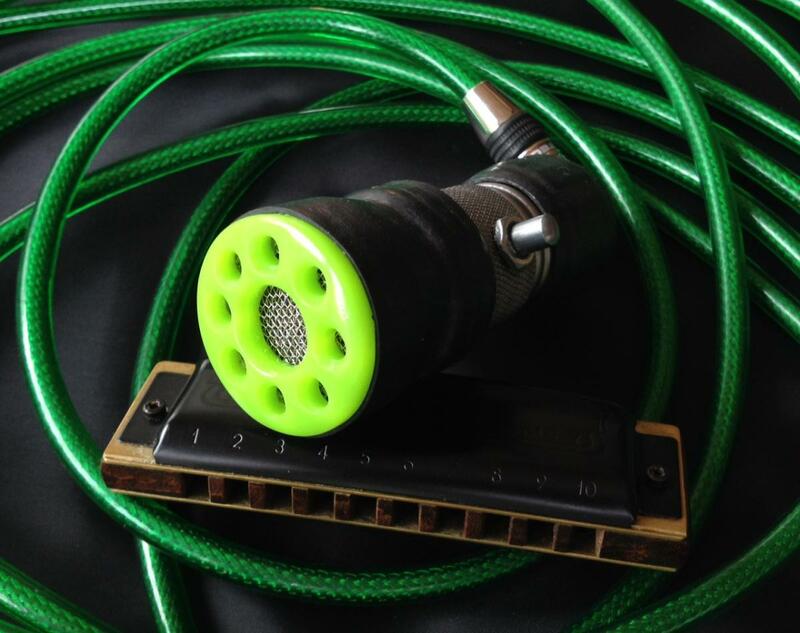 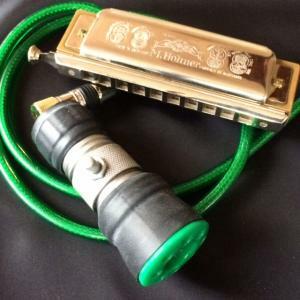 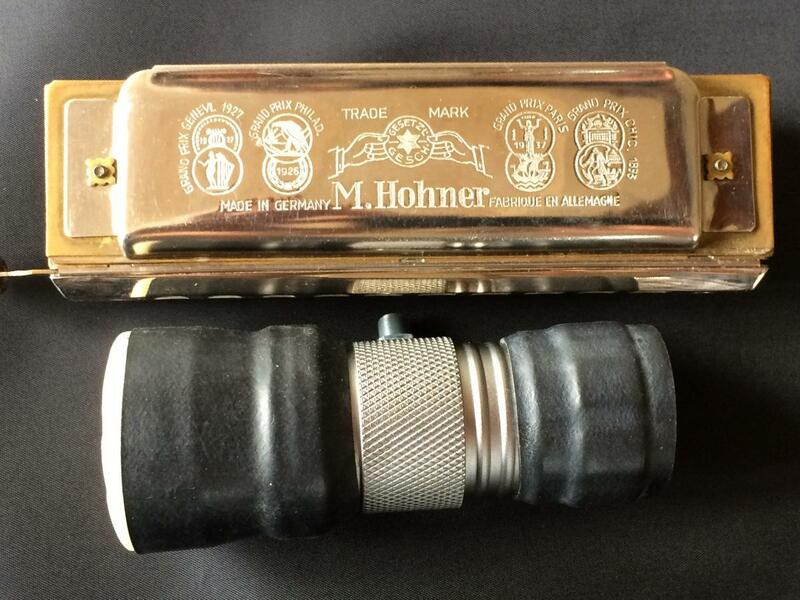 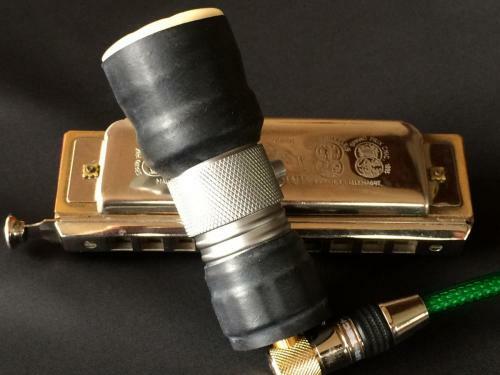 The mic’ is very light in your hand and is easy to hold with a harmonica while performing so you don’t get hand cramp after a long practice or performance. The volume knob is small and very firm which means you are not going to accidentally twist it in the middle of a particularly enthusiastic harmonica solo. 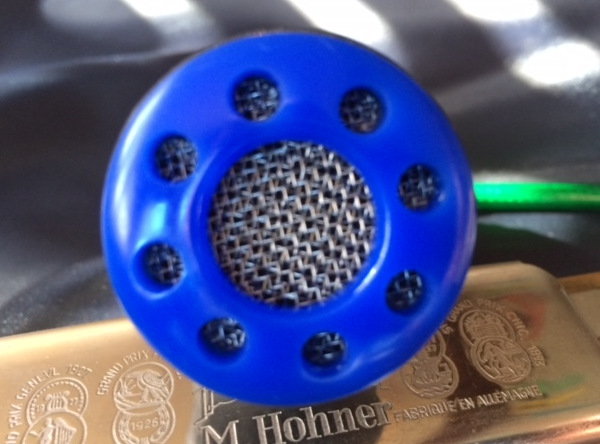 The sensitive volume control provides you with excellent control to boost your output or control feedback or to increase gain for distortion effect. 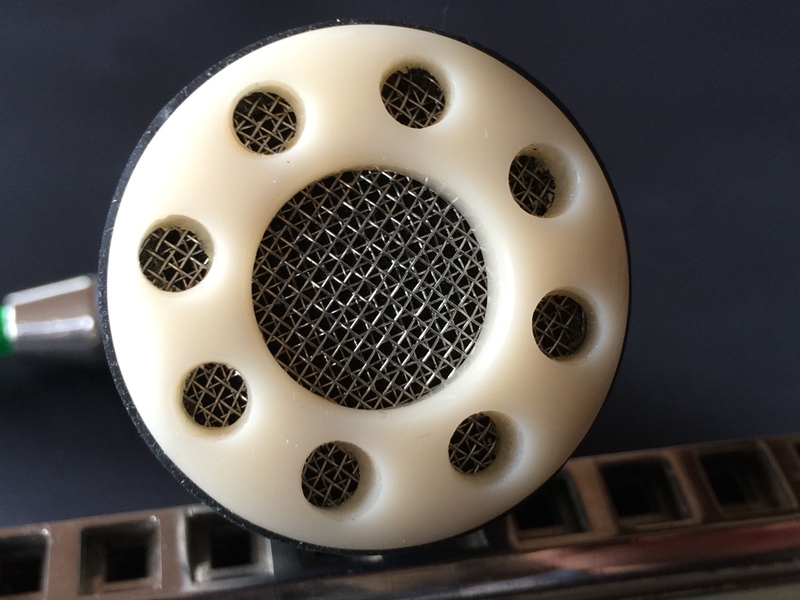 Like all silverfish harp mic’s, the unit can be stand-mounted and fits snugly in most small (fitting a 30mm barrel) microphone holders. 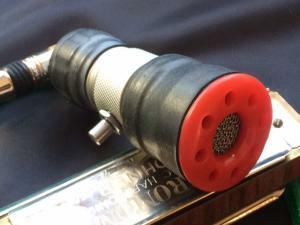 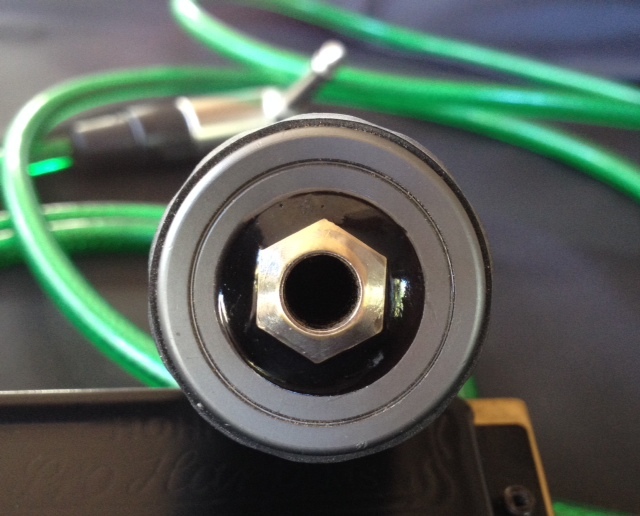 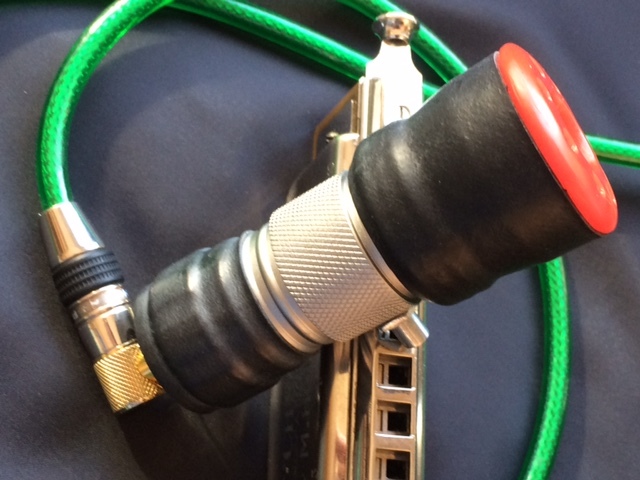 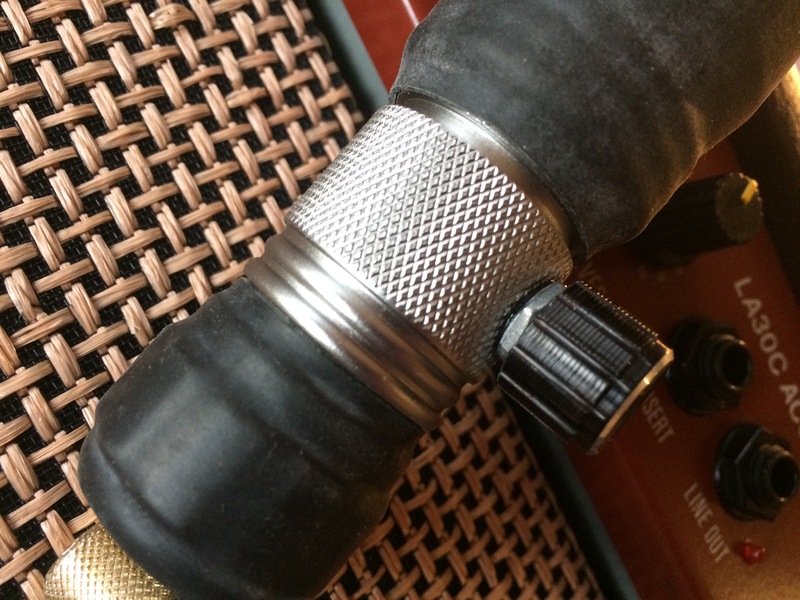 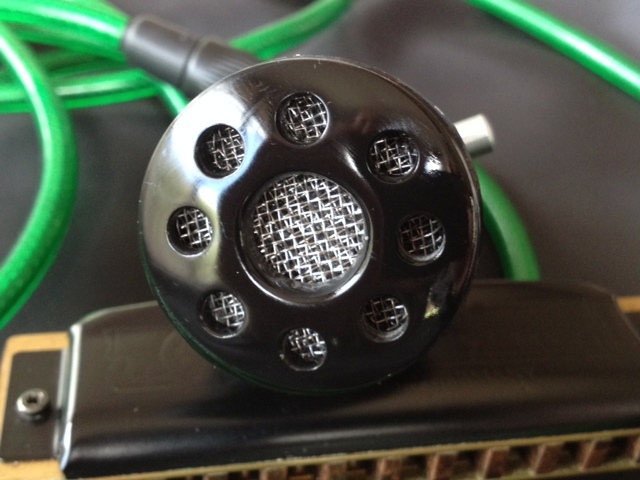 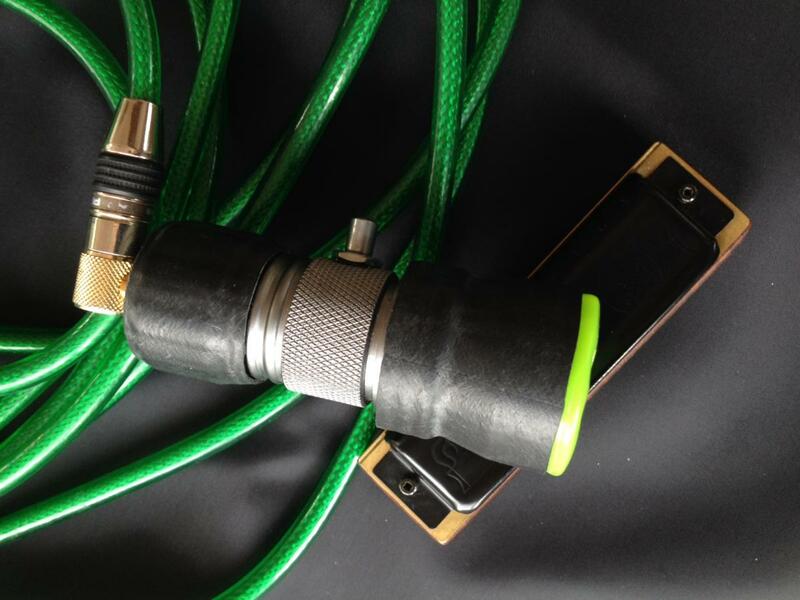 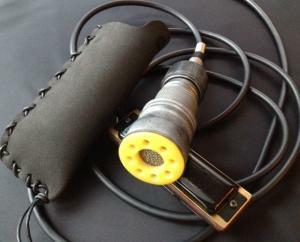 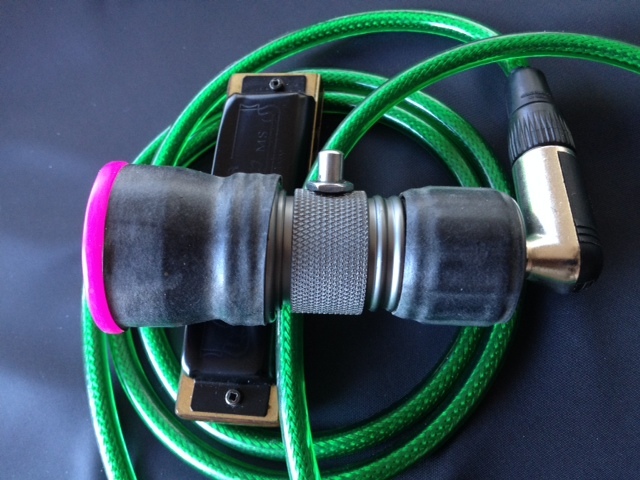 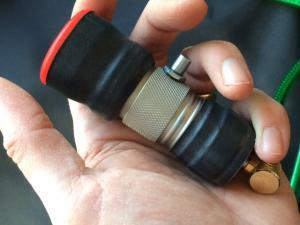 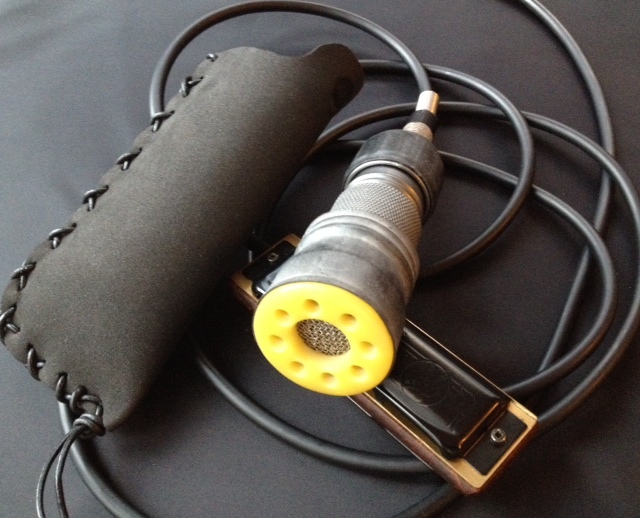 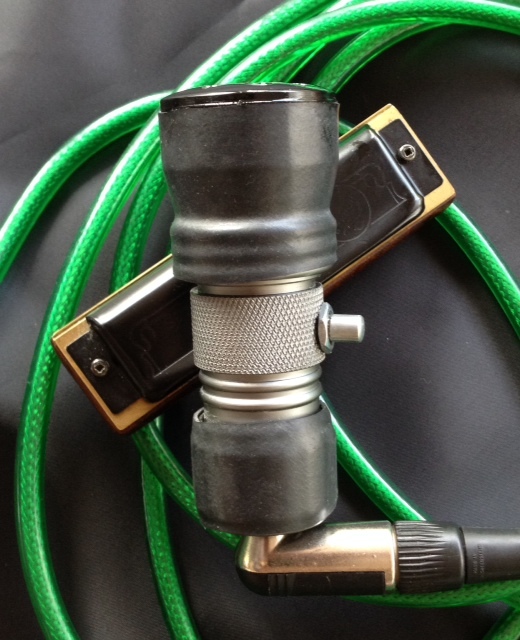 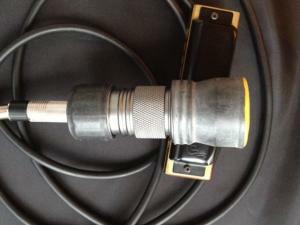 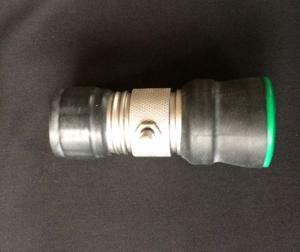 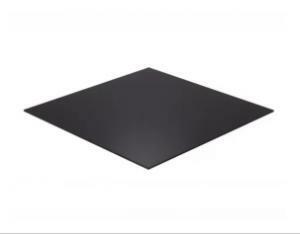 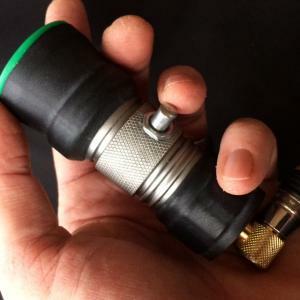 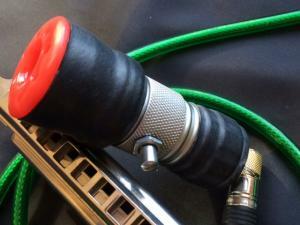 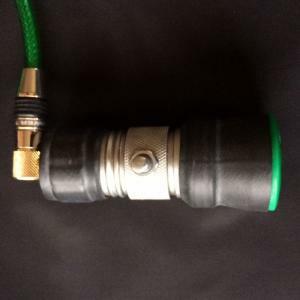 The mic’ connects to a valve or solid state amplifier with a standard 1/4″ (6.3mm) guitar jack-plug socket. 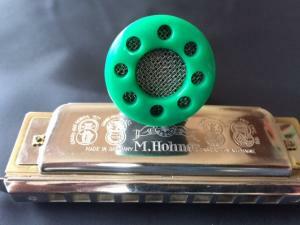 This high impedance dynamic harp mic’ is truly an awesome with technology and craftsmanship that delivers a compact design with many of the features a harmonica player wants and needs and is very technique sensitive. 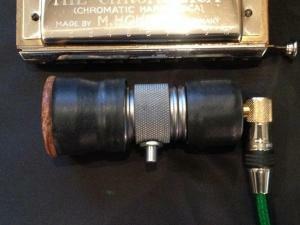 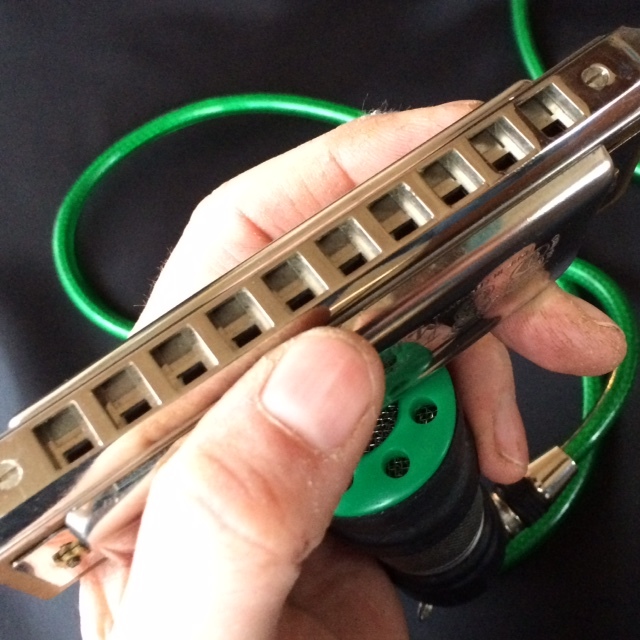 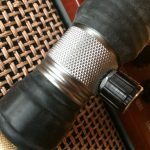 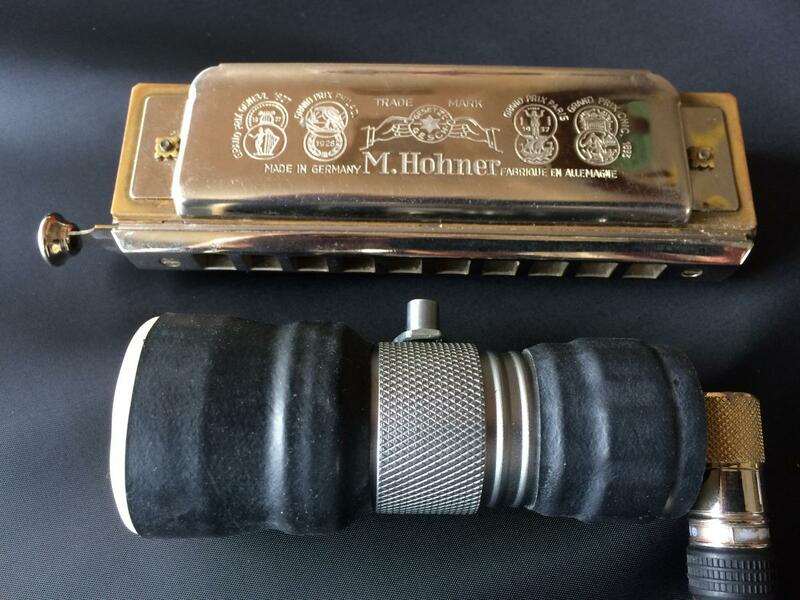 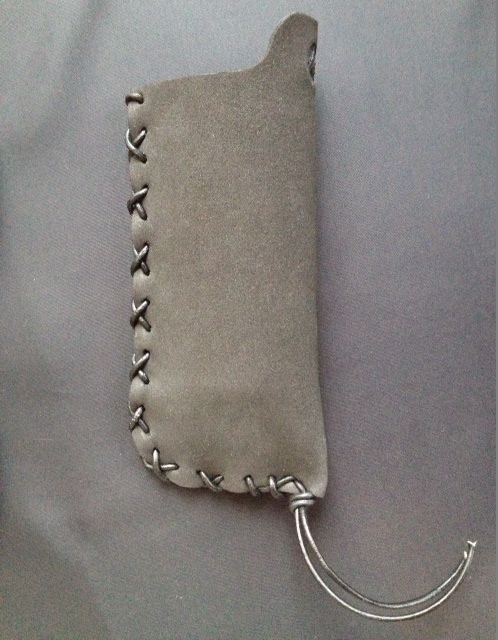 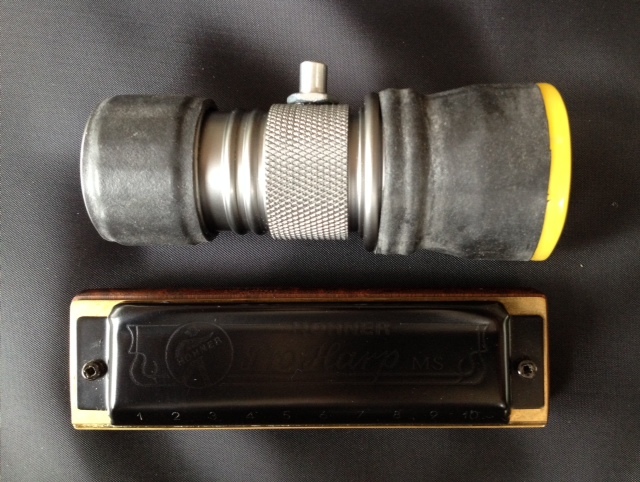 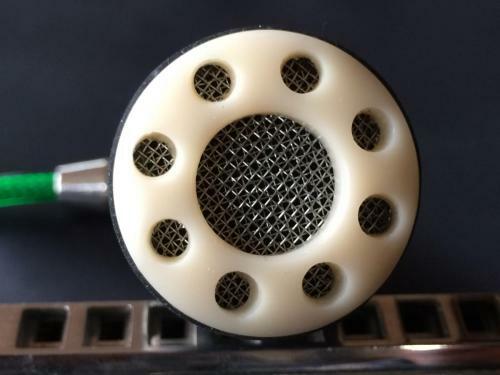 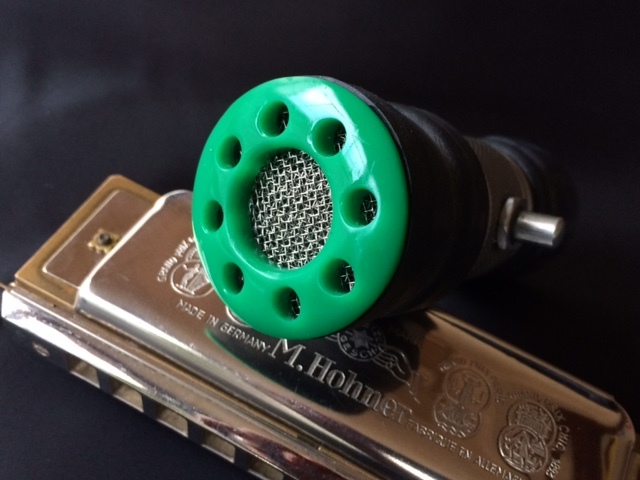 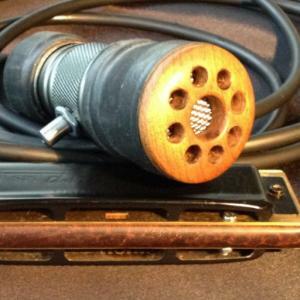 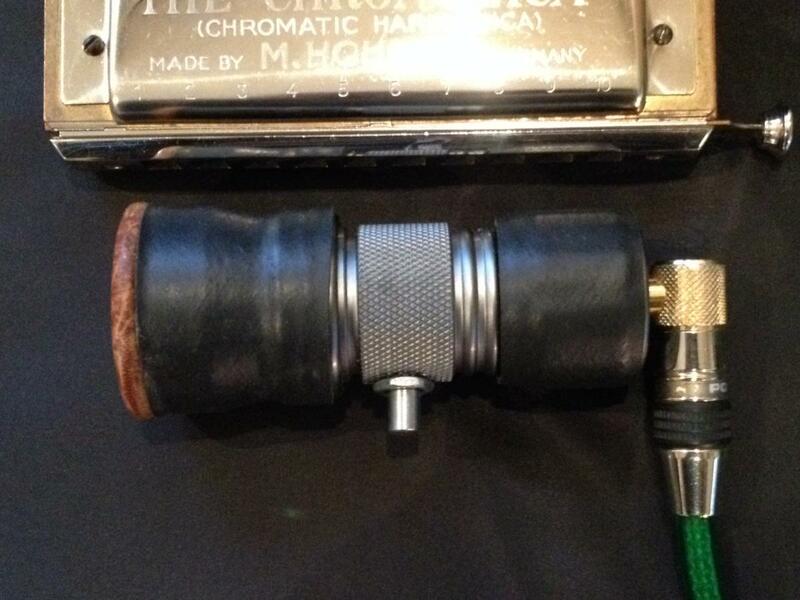 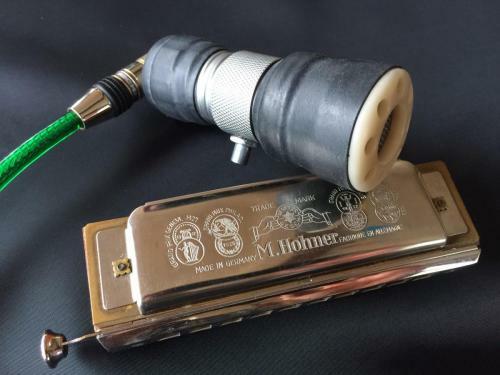 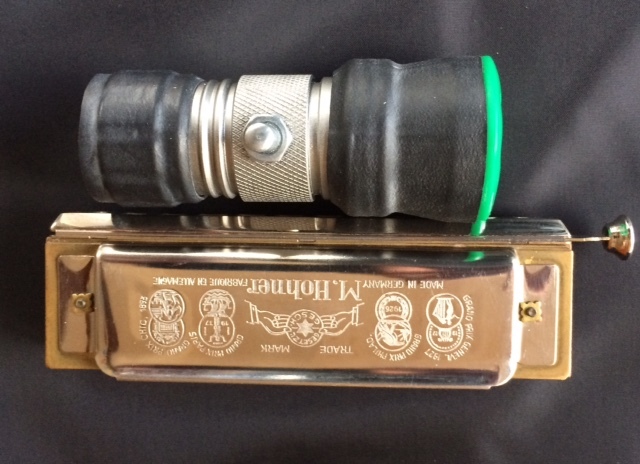 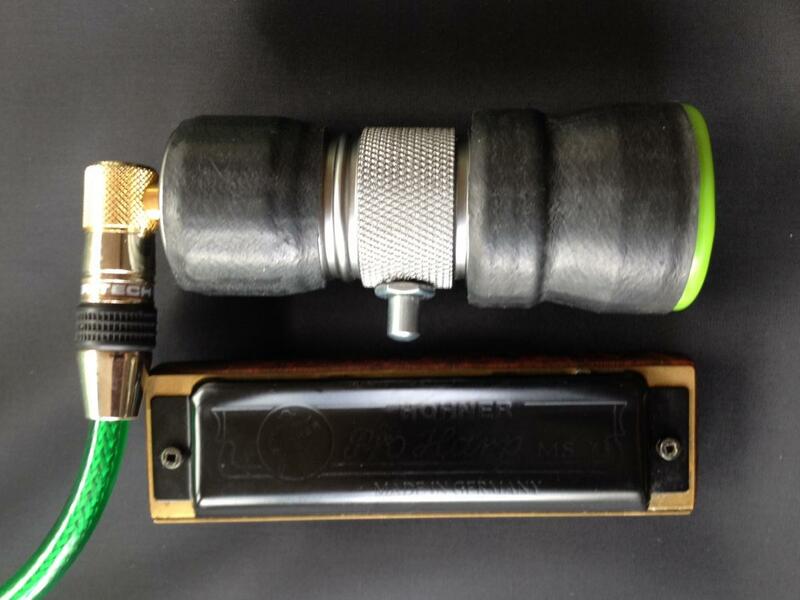 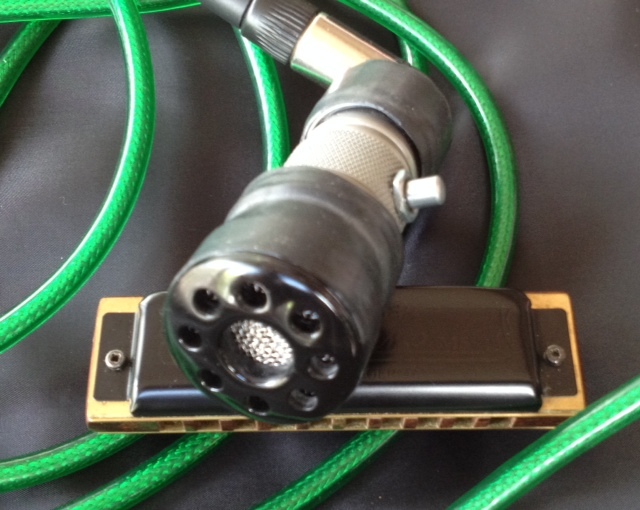 Fit a larger gain knob on to your Silver Bullet harmonica microphone (push fit) to increase grip and control during performance. Goods are sent out within 3-5 working days from receipt of payment. UK orders are sent out by Royal Mail (tracked). 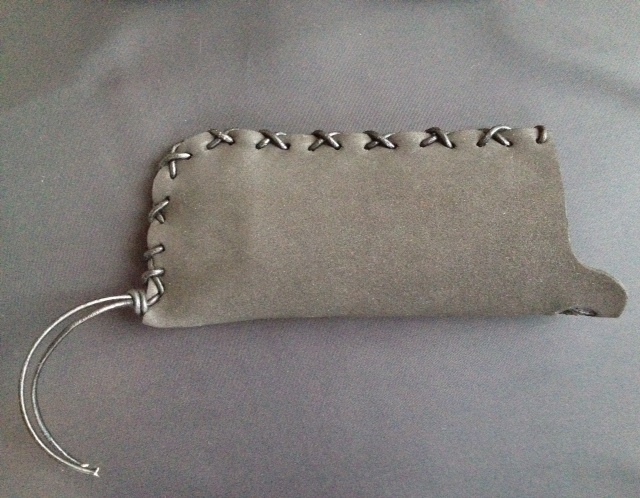 Orders to other worldwide destinations are sent standard tracked airmail. Returns & cancellations Please do not buy to try. 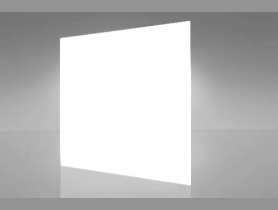 Goods delivered correctly and in accordance with your order will not be accepted for credit or refund without good reason. 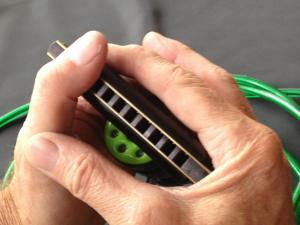 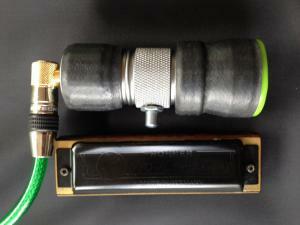 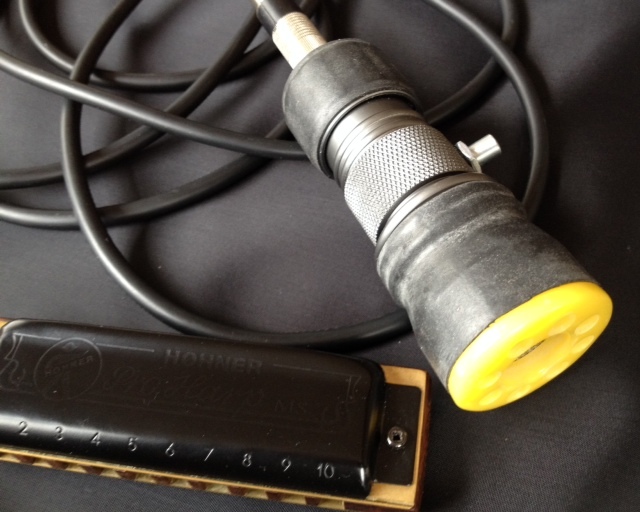 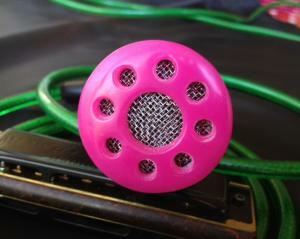 Please note: Harmonica and cable are for display purposes and are not included. 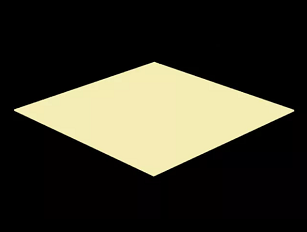 As a natural material the colour and grain of the wood fascia may vary slightly from the photographs. 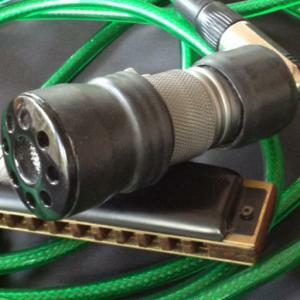 Please note: Poorly matched impedance may diminish the volume and performance of the mic (e.g. an amp input impedance of at least 10 times the amount of the source mic impedance is advised) and reduces sound quality.